Music that just makes you feel good. 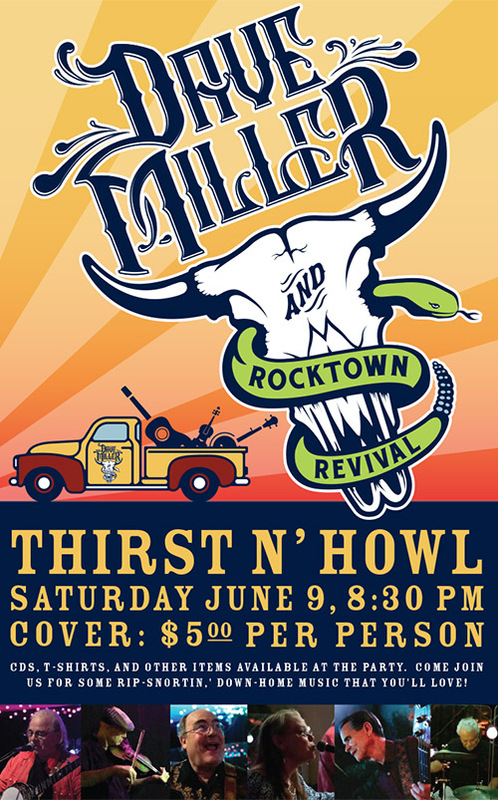 Dave Miller and Rocktown Revival play with a joy that fills the room. 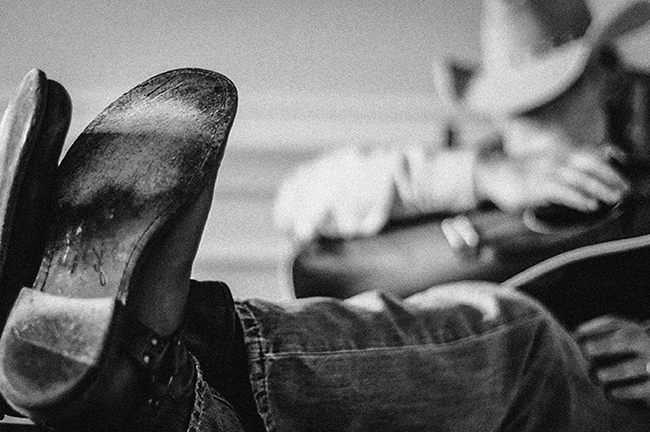 That’s because they deeply love the roots of American music and the countless folk, country, and bluegrass artists and songwriters who have painted a complex, diverse portrait of this nation. You will hear songs from the roots of country and folk rock, foundational Americana, driving banjo-fueled bluegrass, and a few surprises. 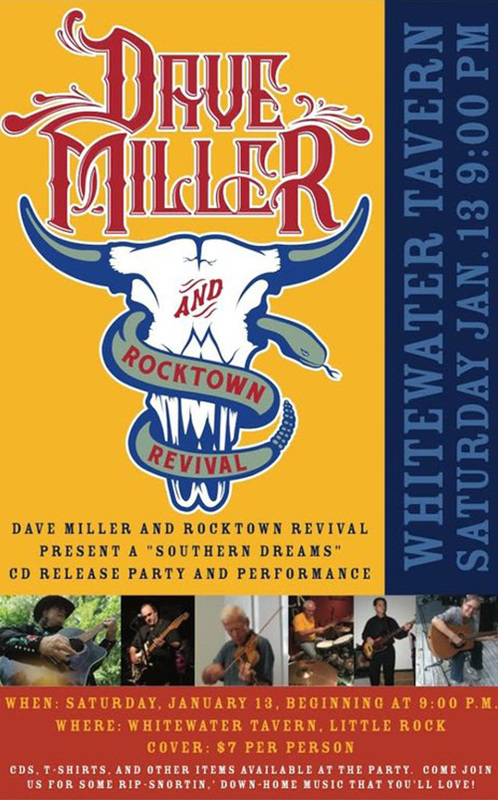 You will also hear the carefully crafted, clever, heartfelt original songs of songwriter Dave Miller. Dave has been playing music, performing, and writing songs for 5 decades. He has played in taverns, dance halls, concert venues, festivals, showcases and coffee houses from coast to coast and in British Columbia. 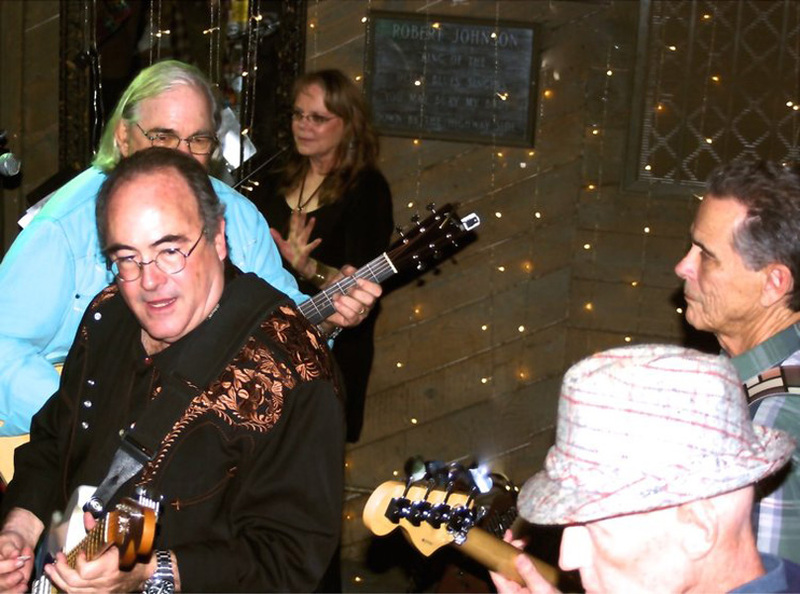 Dave and some friends formed a bluegrass trio and moved to Santa Fe in 1976. 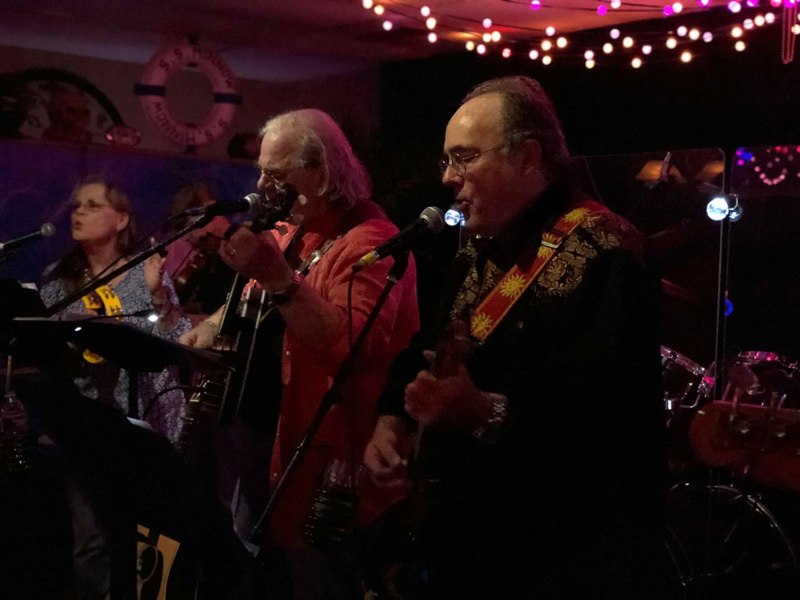 Keeping its homespun bluegrass and hillbilly roots, but adding swing, country rock and western flavored ballads to the sound, they named the band Gumbo because of the spicy mixture of so many types of music and instrumental combinations. The band was an extremely popular circuit band in Colorado, New Mexico, Texas and Arkansas, but played venues from Myrtle Beach, SC to Ft. Nelson British Columbia and all points in between. 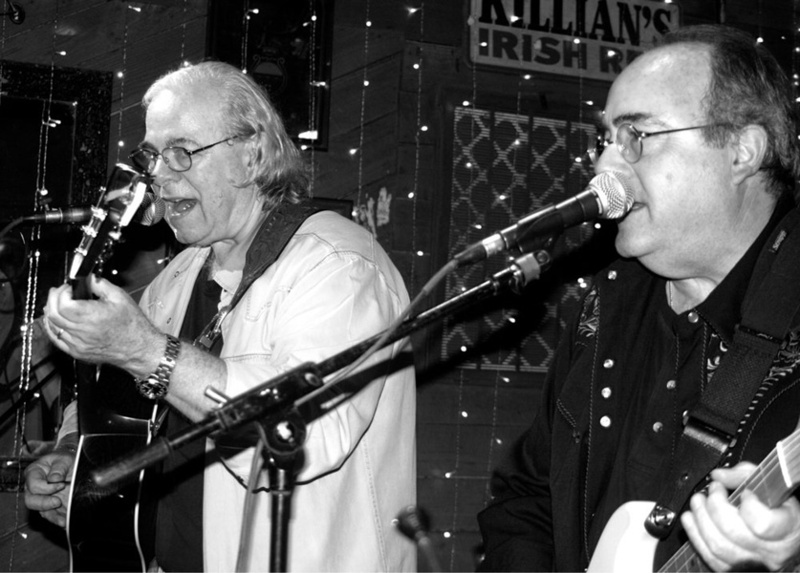 Gumbo was also opening act for such performers as Brenda Lee, Jerry Jeff Walker, and Michael Martin Murphey. 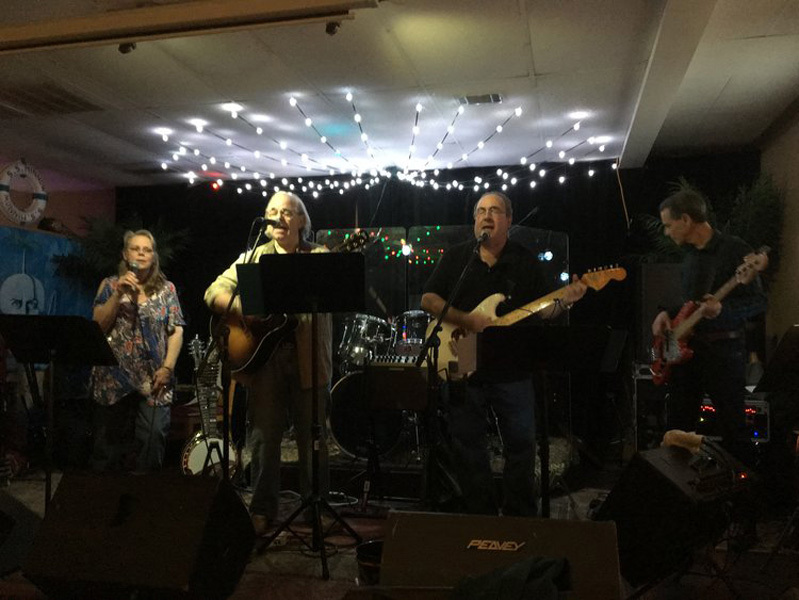 They moved to Alamosa Colorado and became a foundational piece of the vibrant and unique music scene that is still innovating, creating, writing and recording there. After taking a long break from the road, enjoying family life and having a successful career designing and developing medical products, Dave has returned to his roots in performing, songwriting, and recording. His first CD is entitled Just Flow is a collaboration with Gumbo bandmate Pat Hooper was released December of 2016. 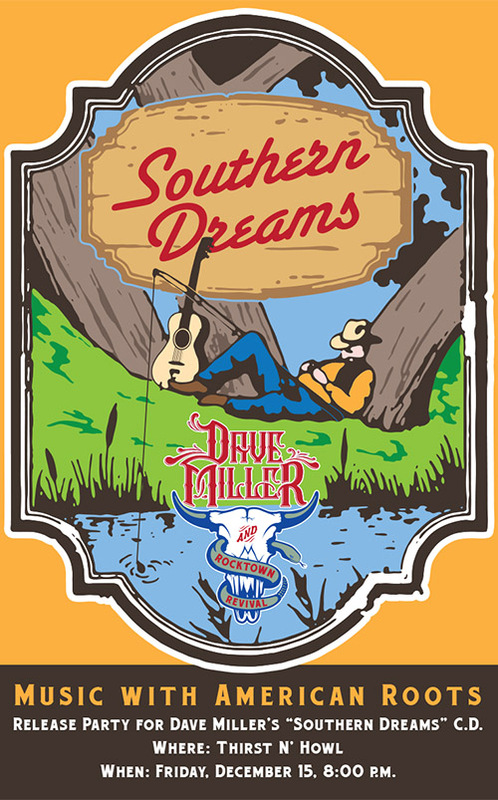 The newly released project is an album of 12 of Dave’s original songs entitled Southern Dreams recorded at Howling Dog Studio. 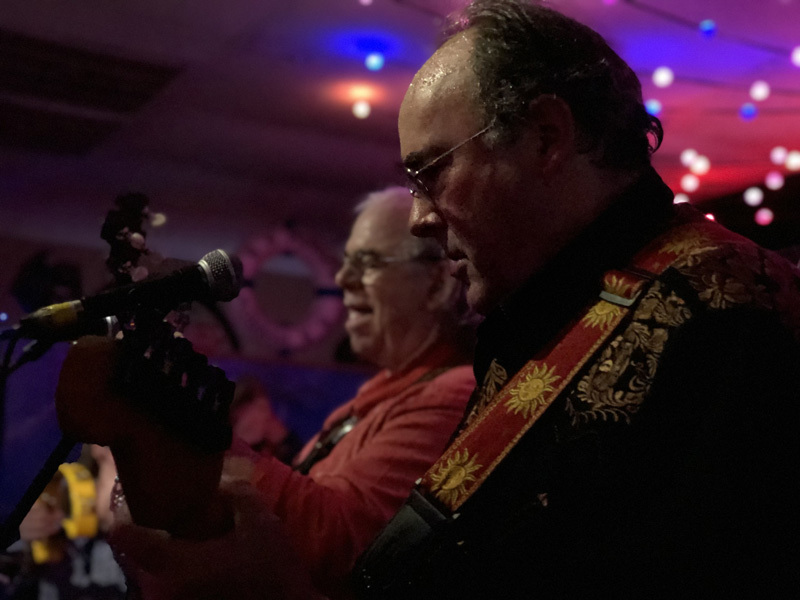 In late 2016, Dave and his cousin Frank Cox decided to form Rocktown Revival, as a way to take Dave’s original music and songs from some of the greatest American artists to folks who, like themselves, love the revival of roots-based music. The Beatles appearing on the Ed Sullivan Show in 1964 was a life changing experience for Frank. That Christmas, he got his first guitar (a pawn shop reject) but it was the beginning of a 50+ year love affair with music -- and performing. He joined his first band, The Other Side, at age 12 and has never been without a musical crew since that time. After graduating from college, Frank moved with this band Main Squeeze to Memphis where they played the College Circuit in the Southeast U.S. and recorded an album's worth of original material at Ardent Studios. While continuing to perform (for 35 years with his band, The Groanups), Frank had a successful career in the advertising/public relations business, eventually serving as CEO of the largest ad agency in the mid-south. But playing music has always been his passion and it remains so today. 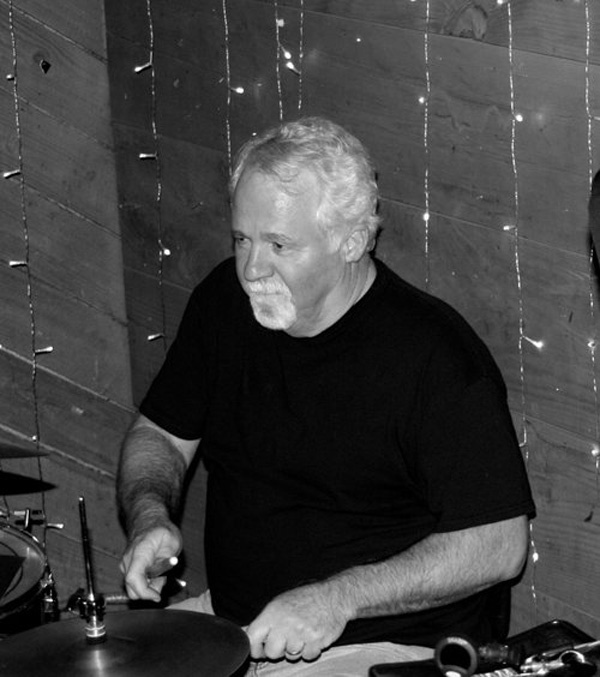 Bill McCumber played his first paying gig in December, 1963. 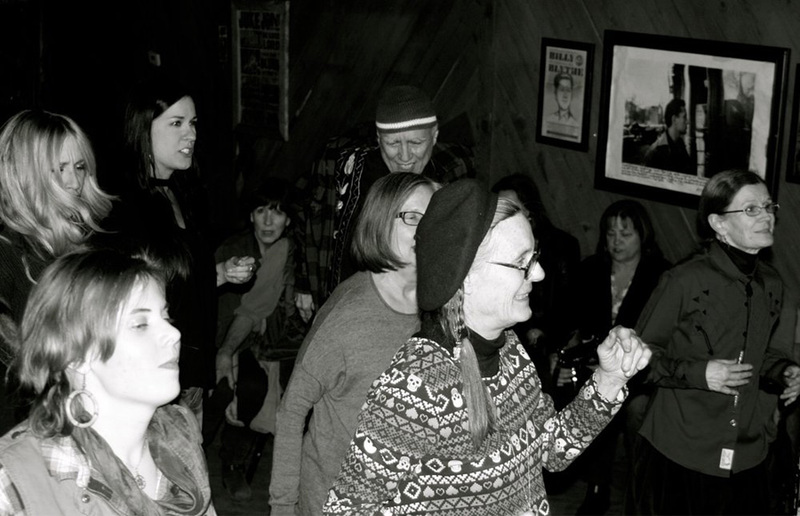 From then to 1968, he played in just about every dive bar in Pulaski county, Arkansas. In 1968, Bill went on the road with a Pine Bluff band, The Chaps. They played that summer in Myrtle Beach and Charleston and then he moved west to San Francisco, where he played for rest of '68 and '69. Bill came back to Little Rock and joined back up with The Chaps (which morphed into Sweet Magnolia), for about 5 years. 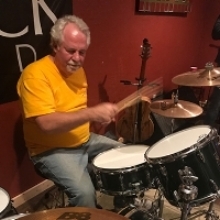 He's continued to play in Little Rock bands and joined Rocktown Revival in 2017. According, to Bill, "I feel very fortunate to still be connected with the caliber of musicians with whom I am now playing." Like almost everyone else his age, BJ was completely changed by the Beatles on Ed Sullivan. He was lucky to grow up in a house with a basement room that allowed him to play along with records for hours in the afternoons after school. BJ was in the first integrated band in Hot Springs, Arkansas in the late 60's -- The New Banana. It ended up being a 14-piece horn band covering James Brown, Sam and Dave, etc. He played in various bands in the night clubs of Hot Springs while still in High School, cutting his teeth on the gritty, late night scene, six nights a week in many cases. 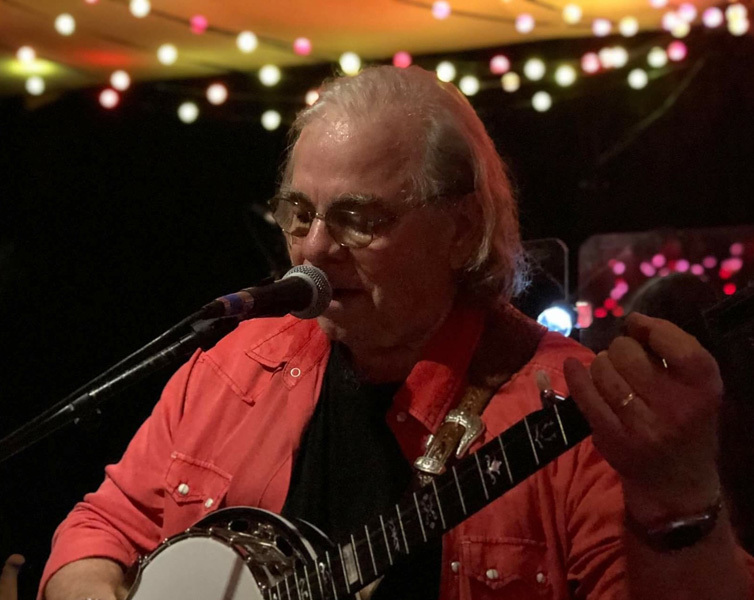 In 1975, he got a late night call from a friend who had a connection to LaCosta Tucker, Tanya Tucker’s older sister who was looking for a back-up band to go on the road. BJ jumped at that opportunity and played with LaCosta for about 3 years. They served as the opening act for many of the A-list country stars of the time and played everything from honky-tonk Texas Swing bars to crowds of 50,000 at various state fairs. BJ was a founding member of the Groan-Ups, together from 1983 to the present day. His day gig has been in the mortgage banking business since 2002. He and his wife of 33 years, Patti, have three grown, beautiful, and smart daughters. Bill Thurman is a lifelong musician, songwriter, composer, multi-instrumentalist -- plus, he occasionally sings! His main popular music instruments are the fiddle/violin and keyboards. 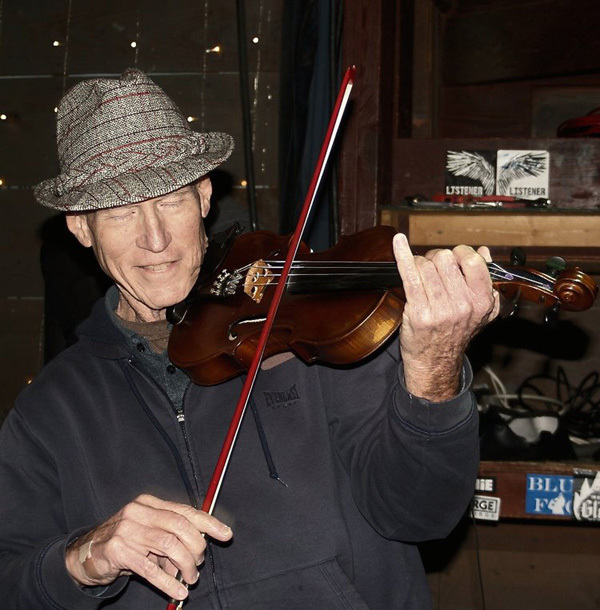 As a violinist, Bill has performed with the Memphis Symphony Orchestra for two decades. 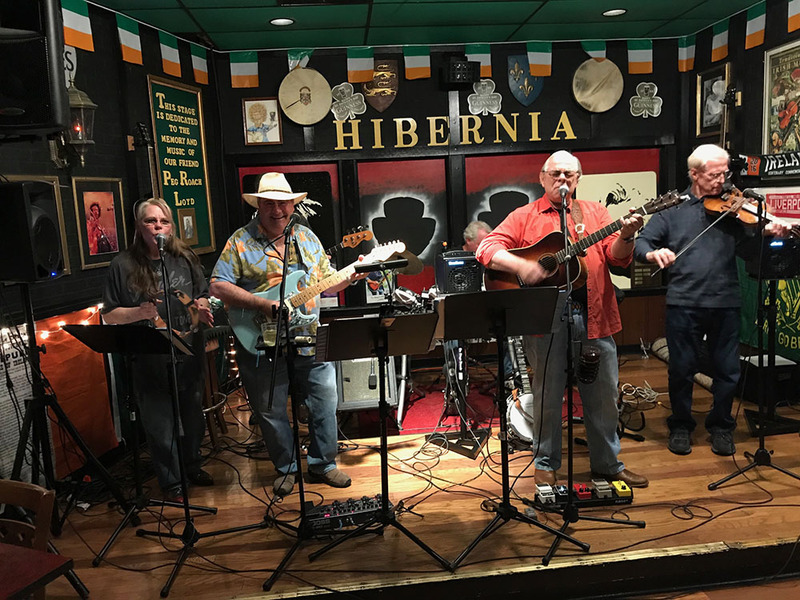 In addition, he has played with many folk and celtic bands for at least as many years! During that time, Bill has released nine albums of mostly original songs and tunes. He says the satisfaction he gets from performing is still one of the things that makes getting up in the morning fun! Leslie McBryde has been singing professionally since her college years. 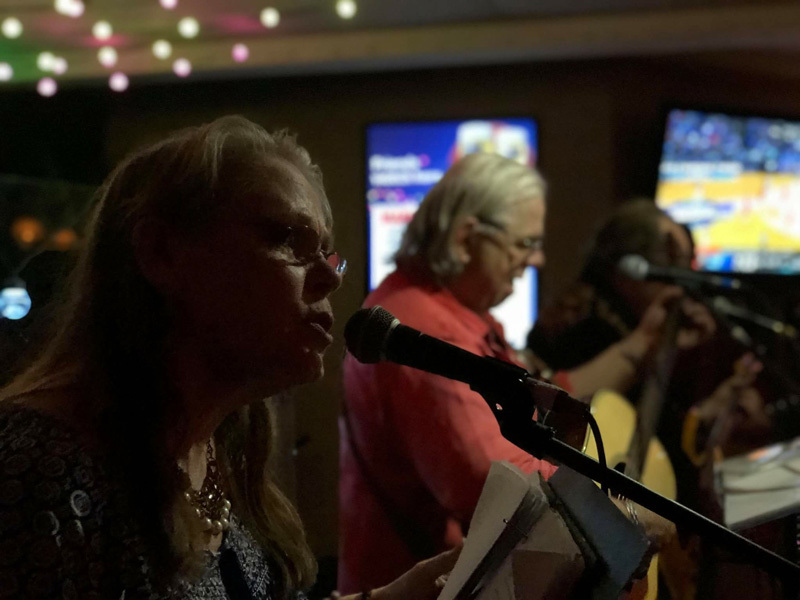 Most recently, Leslie has been singing and performing with Dave Miller and Rocktown Revival with, as she says, “the most talented, creative & solid pickers” she’s known. 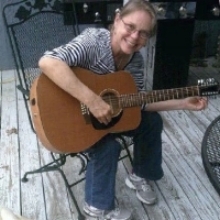 She enjoys finding a creative harmony, in renditions of Dave’s originals, oldies from the past, and country songs. As a singer with Rocktown Revival, and proud to be part of their phenomenal sound, she wants to keep on truckin’ with them! Other bands that Leslie sang with are: Shade Tree Cowboys (El Dorado, AR); front band for Barbara Mandrell & Eddie Rabbitt, and the Spare Time Band (Little Rock, AR) with Frank Cox, Ed Nicholson, and Joe and Chris Marchese. © Dave Miller and Rocktown Revival / Silver Frog Music 2018.